Home » E-products » Event Edition: the upgraded CRM! WebOlution upgrades the Customer Relation Management (CRM) application through the specialized Event Edition application. More specifically, within its cooperation with GTouch Catering, a leading company in the organization of high aesthetics events, WebOlution upgrades with an online solution, the way of creating, organizing and managing events (receptions, social events, corporate conferences etc). 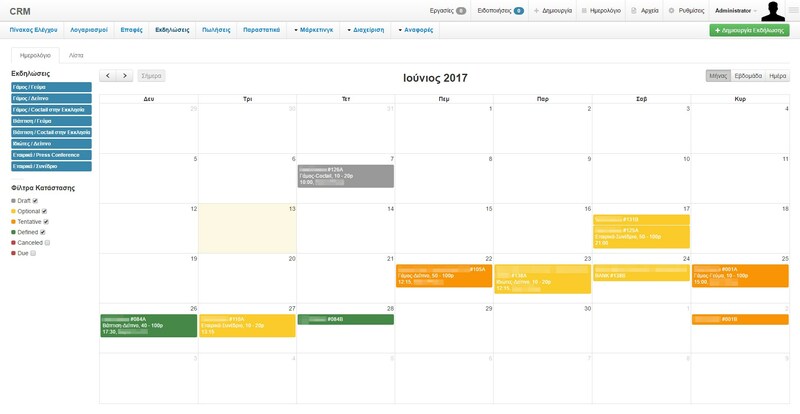 As a result, all companies in the event organizing industry will now be able to offer their services, easily, thoroughly and qualitatively, with a double click on the application calendar! At the same time, the information available to the user is really valuable! Finally, this application also aims at the better internal organization of each company, so it gives the opportunity to map out the course of events, per charging partner. For more information contact sales@webolution.gr.